Like most owners of jukeboxes we have been storing our records in cardboard boxes designed for that purpose. However these boxes are not the best solution, making it difficult to access individual records quickly. We have been looking for a better solution. I just haven't had the time to start from scratch and build a custom cabinet. 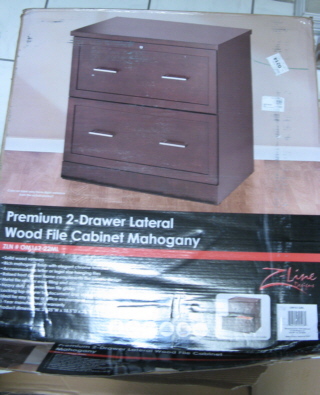 I have been looking for a cabinet that I could alter that was aesthetically pleasing, made well and not expensive. I finally found one. 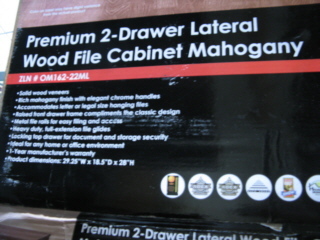 It's sold by OfficeMax and is meant to be used with file folders as a lateral filing cabinet. Some quick measurements and a sale was all it took. The alterations are fairly minor. 1. 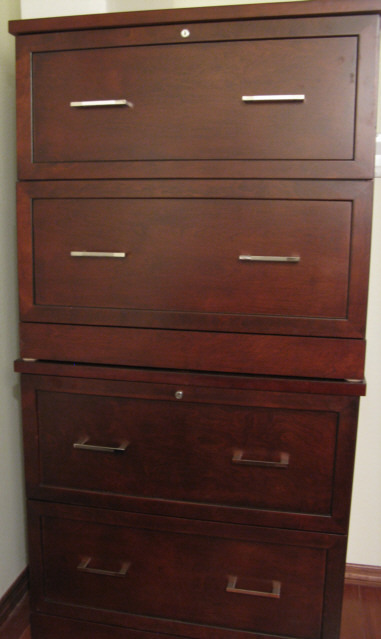 Cut and install furniture grade plywood in drawer bottoms and secure to drawer sides using screws, (strengthens drawers and transfers record weight to slides). I left them open for potential storage opportunities, spacers are approx. 4" high. This allows for easy movement of the records. 3. I removed the nylon feet from the cabinet bottom sides and replaced with a better choice to protect the hardwood flooring. 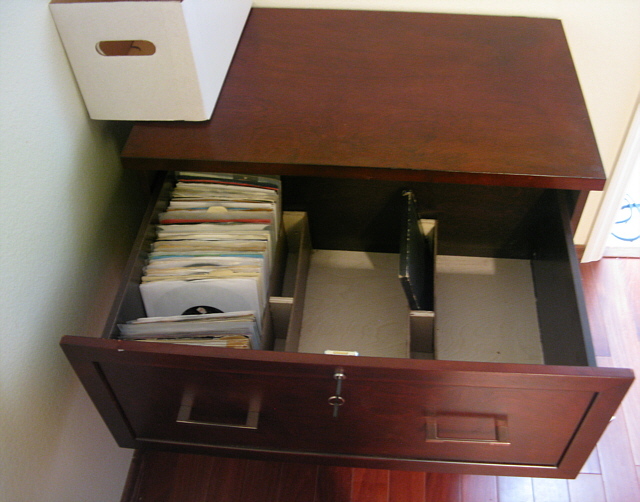 When fully loaded with records this cabinet will be very heavy. I will attach the 2 cabinets together and possibly to the wall (done) for added stability. The second cabinet is assembled, altered and installed. The 2 cabinets together should have a storage capacity of around 1800 records.